The court had on August 22 last year rejected Shah's earlier bail plea after the ED said it was probing whether he had received money from countries such as Pakistan to promote terrorism in India. 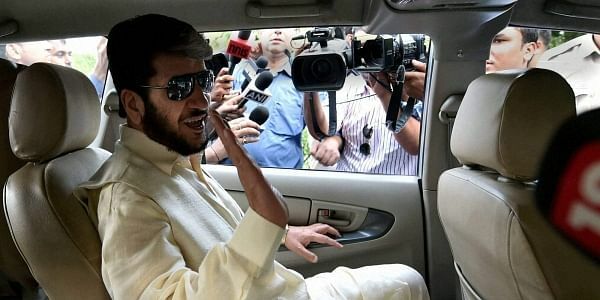 NEW DELHI: A Delhi court today rejected the bail plea of Kashmiri separatist leader Shabir Shah in a 2007 money laundering case related to alleged terror financing. Additional Sessions Judge Sidharth Sharma, who had in August last year denied the relief to Shah citing the ongoing probe, dismissed his fresh bail plea. In his bail application filed through advocate M S Khan, the accused had told the court that investigation into the case was complete as the agency has filed its charge sheet and there was no chance for Shah to hamper the probe. On November 15, the court had framed money laundering charges against Shah and alleged hawala dealer Mohammad Aslam Wani in the case. Both the accused have pleaded not guilty and claimed trial. The central probe agency, in its charge sheet filed under sections of the Prevention of Money Laundering Act (PMLA), had furnished Shah's statements where he had allegedly told the investigators that he had "no source of income of his own" and that had "not filed any Income Tax Return (ITR)." The probe agency had recorded the statement of 36-yearold Wani where he allegedly said that he came to Delhi from Srinagar "at the directions of Shah" sometime in April, 2003 and that was the first time he had met him. Wani was arrested by the ED on August 6 from Srinagar. The ED alleged that Wani was asked by Shah to "work for him (on a commission basis) in collecting hawala money from Delhi and deliver to him at Srinagar". The case dates back to August 2005 in which the Delhi Police's Special Cell had earlier arrested Wani. Wani had then claimed that he had given Rs 2.25 crore to Shah, following which the ED had registered a case under PMLA against the duo in 2007. He was arrested with Rs 63 lakh, allegedly received through 'hawala' channels from the Middle East, and a cache of ammunition, on August 26, 2005. In 2010, a Delhi court had cleared Wani of terror funding charges in the 2005 case but convicted him under the Arms Act.